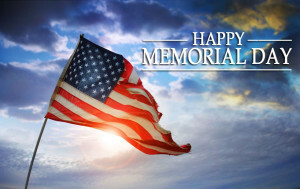 Happy Memorial Day from Old Town Trolley Tours®! I was born and raised in Baytown, Texas. 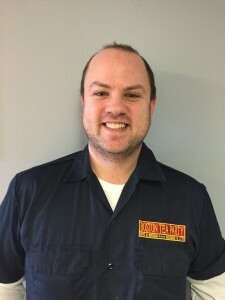 After graduating high school, I decided to join the ever exciting field of Facility Maintenance. I’ve been working maintenance, in some form or another, for about ten years and I’m always amazed by the new things you can learn every day. In 2012, I decided I was done with the Texas heat and wanted to know what a real winter was like. I joined the Boston Tea Party Ships and Museum just in time for the snowiest winter on record in Boston. See? That day I learned to not open my big mouth about wanting to see what a real winter was like. I’m currently living in Revere, MA with my wife. I’m currently teaching myself to juggle. I was born and grew up in Akron, Ohio. I have a twin brother and two older half brothers. I am the youngest. I share a Valentine’s Day birthday with my twin, my oldest half brother, and my dad. After I graduated high school, I moved to Cincinnati, Ohio to attend College of Mount St. Joseph. There, I earned a B.A. in History and played NCAA D3 Women’s Lacrosse. The only next step for me was graduate school. I moved to Washington D.C. to attend George Washington University. While at GWU, I completed two internships, one at the Textile Museum and the other at the Supreme Court of the United States. Throughout high school, college and grad school, I hated public speaking. Presentations caused my hands and limbs to shake uncontrollable and made me sick to my stomach. When words came out of my mouth they were jumbled, inaudible, and unclear. A requirement of the SCOTUS internship was conducting lectures for the public and tours for guests of the justices. I hated it until I realized I loved it and excelled at it. After a year and a half, I earned my M.A. in American Studies with a concentration in museums and material culture. I moved to Norfolk, Virginia for love. I worked at Jamestown Settlement educating children on the first English settlement and at Cape Henry Lighthouse enlightening visitors on the first federally funded lighthouse in the U.S. Love didn’t last so I move back to Washington D.C. 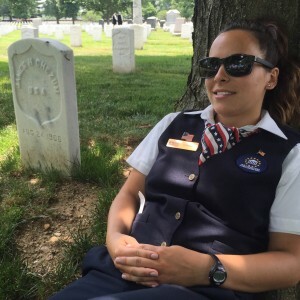 The first job offer I received was with Arlington National Cemetery Tours Inc. The rest is history. Being happy, healthy and successful. can be powerful, smart, strong and brave. 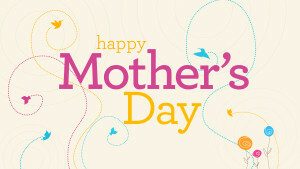 Happy Mother’s Day from Old Town Trolley Tours®! I was born and raised in the Battle Creek, Michigan area, Cereal City USA! After college I ventured out west for new experiences and to widen my horizons. Having come from a very small farming community in the Midwest, I was in for a real culture shock settling into my new home in Albuquerque, New Mexico. I embraced the culture and adored all of the colorful foods, vibrant music, and non-stop activities all while raising a family. After some life changing events, I found myself moving back to my hometown in Michigan and attending a High School Reunion. There I met up with my current husband. We had been neighbors and classmates growing up and soon realized that we belonged together as adults. Merging the past with the present, and the future, we joined our families together and vowed to leave the snow-laden North for the sunny Florida South once our children were grown and out of the house. We took several Florida vacations looking for the best place to settle down and after numerous trips to St. Augustine, we decided that this was the place. We fell in love with the city, the culture, and the history. 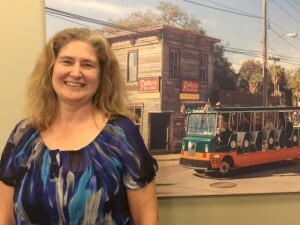 Having ridden and enjoyed the Old Town Trolley Tours in St. Augustine and Key West, I decided to apply for the Call Center position here at the National Contact Center when the job was posted. I thought it would be a great way to use my past experiences and skills, while telling guests about our wonderful city. To my surprise, I now explain tours and attraction features, in detail, to guests in 6 cities (of which four I haven’t visited yet). This job has been a great learning and growing experience for me and I enjoy the variety of challenges we are faced with every day. you think it would be? would want to come back as one so I could stroll amongst them. You are currently browsing the Old Town Trolley Tours Blog blog archives for May, 2016.